Above: Timothy Pearce, Assistant Curator of Mollusks, helps identify a specimen. Can you stump the scientist? Carnegie Museum of Natural History’s scientists will be available on Saturday, April 16 to identify objects that visitors have found in nature for Super Science: Specimen ID Day. These events are a unique experience for visitors, but also an interesting way for our scientists to interact with the public and test their knowledge! Albert Kollar, Section of Invertebrate Paleontology, said that the number of places that people bring in specimens from is the part of Specimen ID Day that he finds most intriguing. Kollar said he helped identify specimens collected from Pennsylvania, Ohio, western New York, Virginia, Maryland along the Chesapeake Bay, South Carolina and North Carolina’s underwater shoreline, Indiana, Missouri, and Colorado. He said a little girl who collected fossils from the Falls of the Ohio rocks of Indiana was one of the best specimens brought to him at a Specimen ID Day. 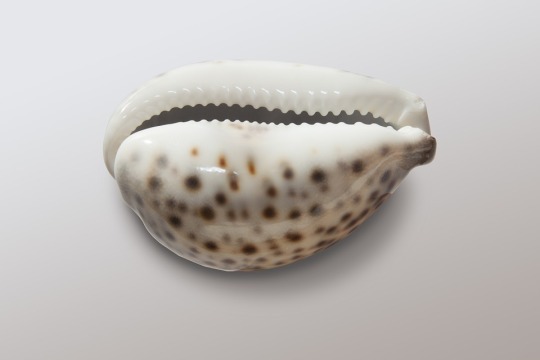 Timothy Pearce, Assistant Curator of Mollusks, said someone brought in a fist-sized shell that looked like a cowry (appealingly shaped, attractive, shiny sea shells), but not like any cowry he had ever seen at a similar event.